I don’t spend my days in the classroom anymore, but once upon a time I was a teacher and this was the best week of the year. 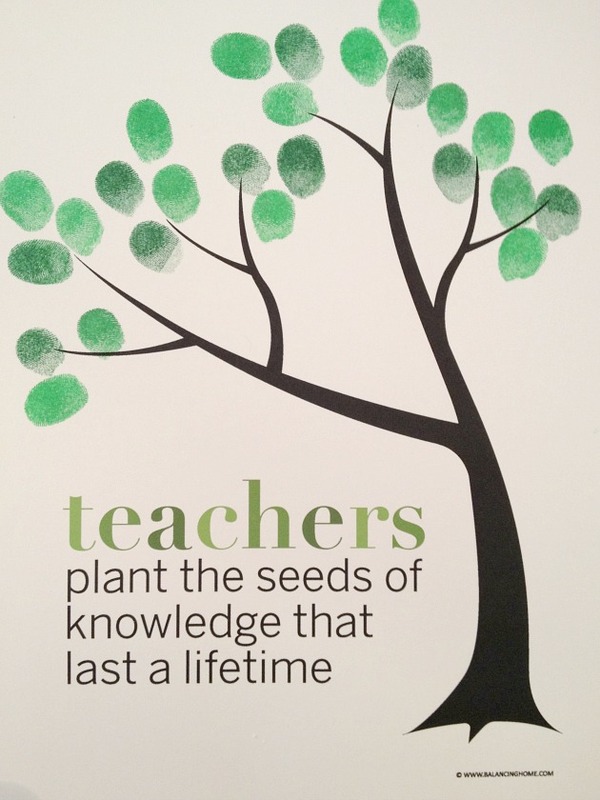 One of my favorite parts of teacher appreciation week were the heart-felt “gifts”. I loved receiving letters from past and present students. I saved all of them. Those were the kind of things that reminded me my hard work and effort actually meant something. 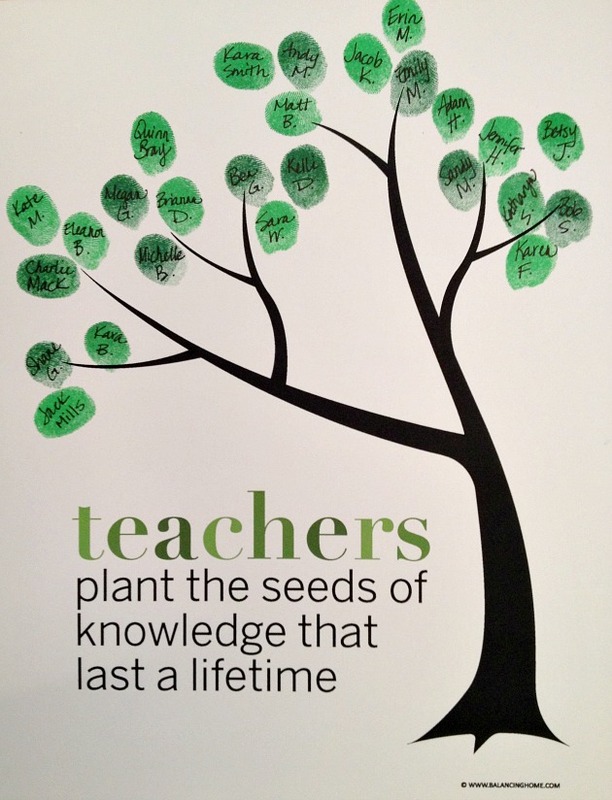 Today I am offering a fun way to thank a teacher for all they do. This is one the whole class can get in on too. I provided the printable, you grab an ink pad and marker and let each kid leave their mark. You can choose if you want to include names or not. Depending on the age of kids, you might be the one doing the writing. Although, I am sucker for little kid writing and the imperfection of it all is what makes it so perfect. This is set up to print on a regular sheet of paper and fits nicely into an 8×10 opening if you plan to frame it. I used two shades of green ink (pine and kelly). This is what it looks like if you choose to go nameless. I made this printable available to all of you. All I ask in return is a little social media love. So wherever you are on social media, become our friend (Facebook, Pinterest, Instagram, Twitter). 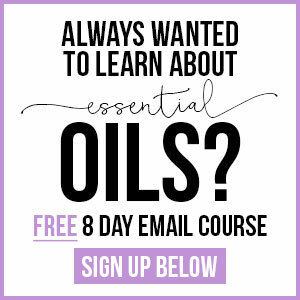 We have tons more printables available on the printable page, so be sure to check them out. I also shared a Mother’s Day Questionnaire on the blog earlier this week. 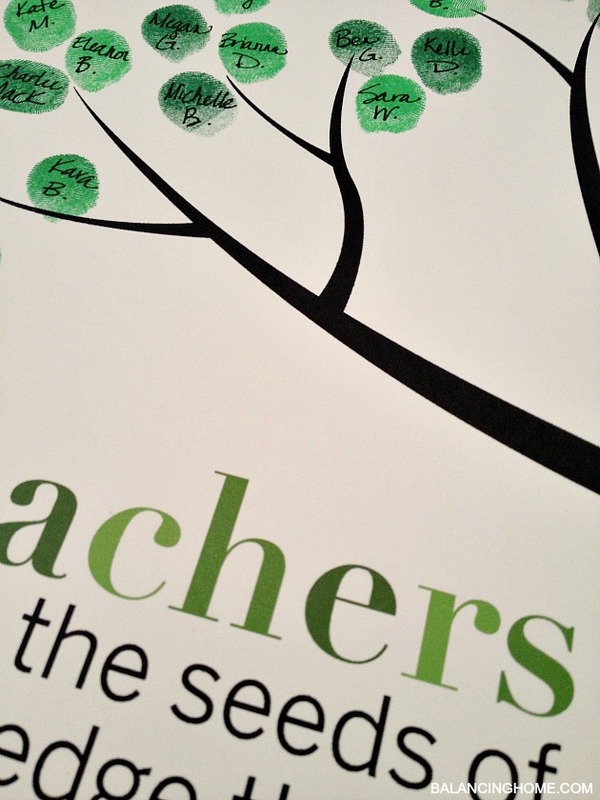 To grab your Classroom Fingerprint Tree, click here–> here. 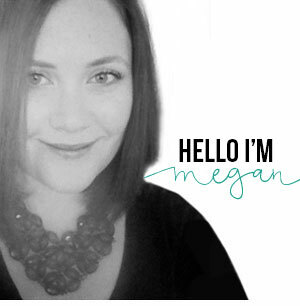 You can find more printables on my printables page and be sure to check out my project gallery. 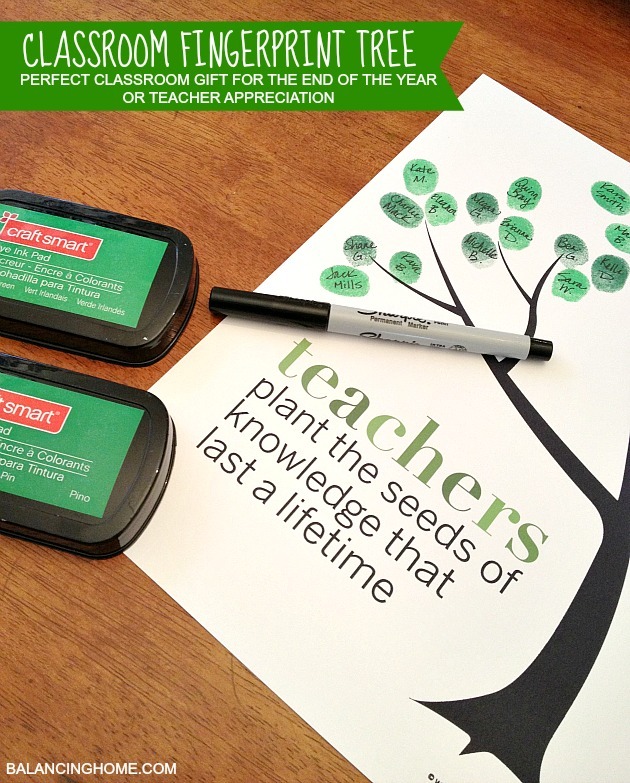 Don’t forget last year’s Teacher Appreciation printable too. 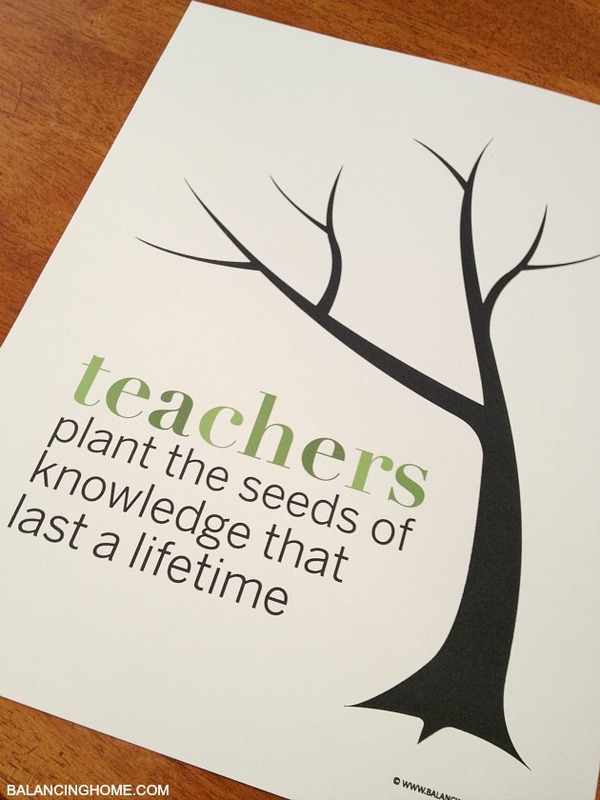 So how are you thanking the teacher’s in your life?